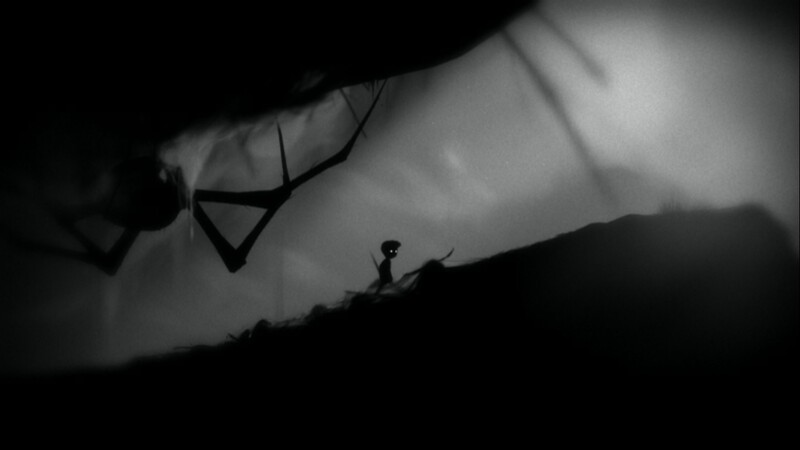 You've probably heard a lot about Limbo. 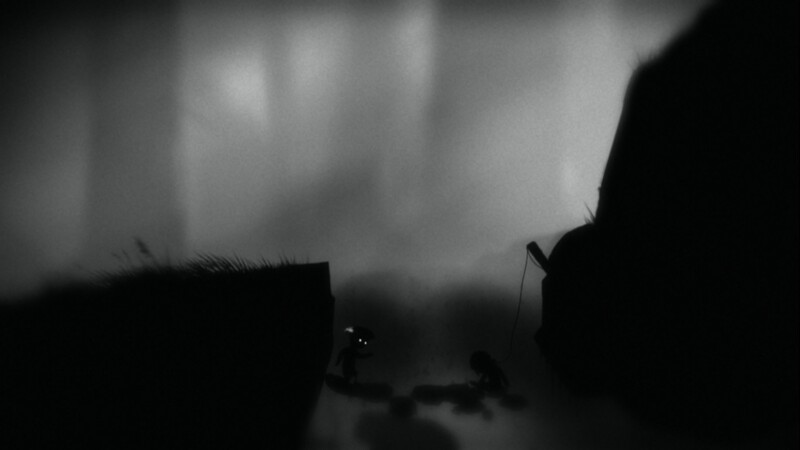 This critically acclaimed platform-puzzler won a few awards here and there. Yet, I felt disappointed when playing way too often. It's a very bleak game. Starting from gorgeous greyscale visuals, which set the game's tone. There's no literalness in this aesthetics, every object is represented just by its silhouette. It leaves a room for imagination - which is always good in games. 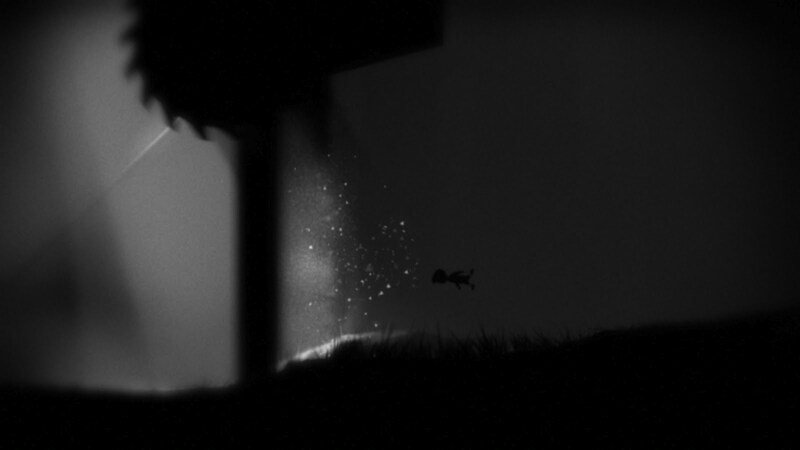 There's absolutely insane attention to detail: tree branches sway in the wind, spider's web leftovers remain sticked to the boy's body after getting free of the web, small rocks fall down when you're sliding down the hill... A separate sentence is needed to cover the boy's animation: it's unbelievably fluid, goes from one animation to another with no visible seams; the boy always puts his foot adjacent to the ground. Every detail is so damn good that you'll stop noticing it after a while. Everything works like it should, you won't see a single graphical glitch in the whole game. Hats off. Audio adds depth to the atmosphere. Most of the time you'll only hear sounds of your own footsteps and environment. There are no words in Limbo. No human voices. Almost no perceptible music; it makes you feel lonely and hopeless. Audio and animation is almost exactly what I'm aiming for in Cavery... Enough gushing, let's get to the gameplay! And the disappointment. Warning - MASSIVE SPOILERS AHEAD! That's all we know about the story and setting. You start in a forest. It's quiet, calm and somewhat unnerving. You learn how to run, jump and die. You will die a lot, in gruesome ways. The boy doesn't scream, he almost always dies in absolute silence - which makes deaths even more unsettling. If you're still reading this, you've probably finished the game already, so you know about the spider. 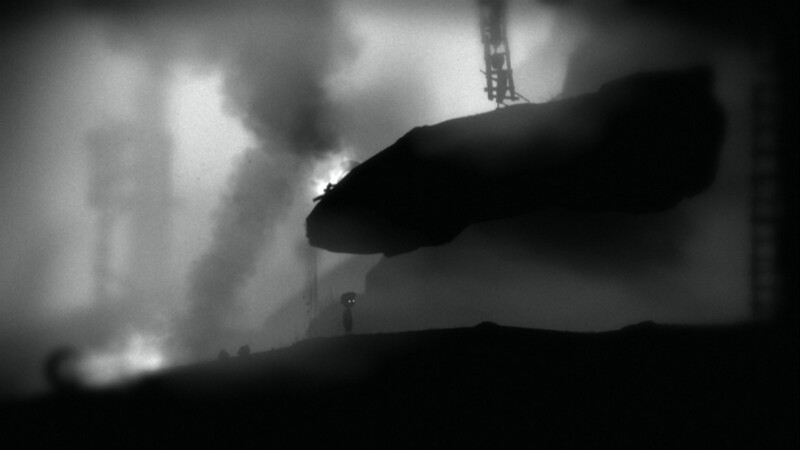 It's absolutely phenomenal, terrifying and is the thing you'll remember the most from Limbo. I was scared, felt completely helpless and absolutely vulnerable facing him. This spider embodies fear and proves that we're all at least a little arachnophobic. There's something... disturbing about its movement. Also, there's no dramatic music when you're trying to run away - it actually strenghtened my adrenaline rush. Interesting. All of a sudden, I see some people. They're looking at me, but I can't reach them. They run away after a while. Oh, the spider again. Am I running away from him, or am I chasing these people? Seeing them lightened hope in me; I thought there's some kind of settlement and I'll be safe there, with them. Oh, so there is the settlement. Burning. Who set their village on fire? That wasn't the spider... So there's something even more ominous in this world? Somebody's sitting there! He won't run away. I'm going to talk to him. Is he wounded? Maybe he needs help? Planks broke under my body and we fell down, but this man had a rope wrapped around his neck. I killed him... I didn't want to, but I did - and felt bad and guilty about it. Let's recap: after spending a hour with Limbo, I felt fear, vulnerability, curiosity, sadness and guilt. 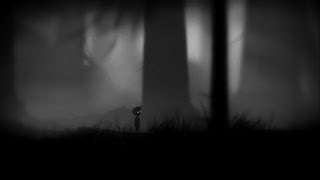 When a game made you actually FEEL such things? Yeah, I don't remember as well. This is where Limbo was brilliant. And then? You enter some kind of a factory and solve physics puzzles. Stacking puzzles. Water puzzles. Gravity puzzles. There's no background story attached to it (like with the spider, people and their village), they're just obstacles you need to pass through. And it goes on, and on, and on... Yes, the game made me feel something again. Frustration. The puzzles itself are actually inventive and pretty hard at times, but you're forced to repeat them many times, because they often involve an arcade challenge as well. A timed jump, quick run and jump, choosing the right ladder to jump on... There's nothing entertaining in repeating an already solved puzzle, just because you failed at applying this solution. I had to force myself to get through all these challenges. Boring and frustrating task! 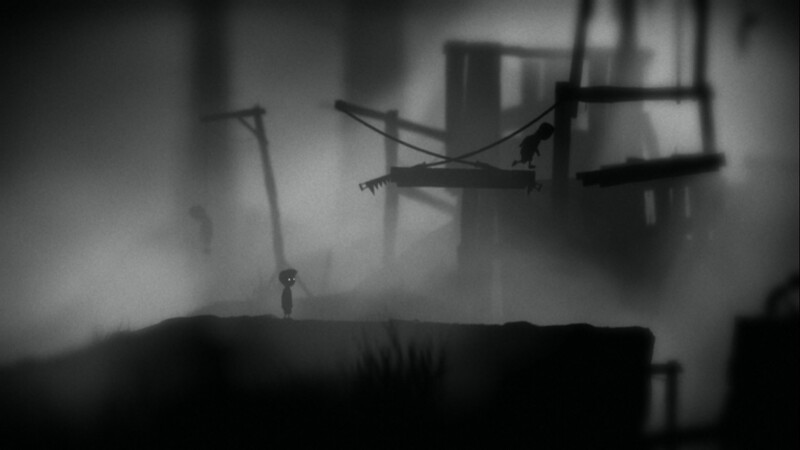 It's worth noting though, that Limbo pulls it all off without any inventory and with just a single action button. The amount and diversification of activities is quite impressive. Suddenly the game ends. You go straight from an arcade challenge (repeated about 15 times in my case) to the final scene. You fall in beautifully slow motion through a mirror (?) to a forest. Am I again at the point where I started? The boy lies down, but stands up after a long while. I go forward. There's a ladder leading up and a girl; looks like she's digging in the ground. Is this my sister? She notices me and the game ends. But after the credits there's another scene, looking similar. There are some differences: a rope is hanging from the ladder, and there are swarms of flies in places where they stood a while ago. I think they're both dead, one of them hanged herself. Judging by their positions, it was her. So, the boy died in some circumstances, and she hanged herself from grief? I don't know. But I like when a game (a movie, a book) asks questions and forces me to think. But was it neccessary to put me through all these puzzles and challenges? It felt so out of place, so game-y; where the rest strives to innovate. That's why I'm so disappointed. Still, it's a game you should play. And share your interpretation with me! 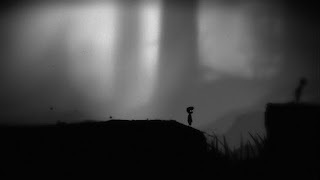 4 Response to "Thoughts on Limbo"
Oh boy! I didn't wait for credits to end and thought that it was his dream! I think you are right Zgrany. The whole game till the jump through the mirro was a dream. A dream just before boy's final breath. He doesn't want to die and loose the gir, so he fights his way back to her in this nightmarish journey. And all this journey is metaphor of fear before loosing someone close. 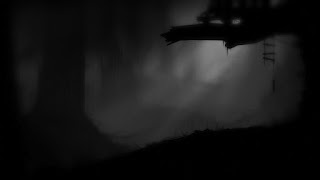 The spider and dark forest represents the fears whne we wre children. The monsters and darkness can take away everything we love from us. The kids from the burned village represent the society. When we go out to the outside world we fear that our childhood friendships can be broken by other people. The factory and hotel are representing fears related with adulthood. The fear of separation (hotel) and everyday duties (factory). Now, about the puzzles in the factory episodes i think that they were very good thought. You felt frustration Thotep? And you should! The repeatable puzzles were mentioned to be repeatable. Just like the repeatable is routine of everyday life of adulthood. So i think that all the puzzles and levels are quite thoughtfully designed. They have a meaning and purpose. They were meant not just to be simple game obstacles. And for the end some thoughts about the ending. I think that the boy at the end dies. And he dies when we jump through the mirror. It's not the metaphor of getting back to life but of dying. And what appears behind the girl is not the material boy (couse he's lying in front of the girl) but his soul. When the girl suddenly raises her head up she didn't noticed boy's presence but absence. She just felt that the boy gave his last breath (i think that she's not digging in the dirt but she's stroking his chest or head). Then, after some time she hangs herself from the grief. And i have one more argument to confirm this theory. We die in the game, yes? We die a lot. And in what reality we can brutally die and be able to repeat the sequence? In a dream*. * I refer dream to a unconcious state when brain is still active but doesn't realize that what he sees/feels is not reality, it doesn't mean here the dream or the nightmare. If you think that it's an allegory of fears of our lives (childhood fears, social fears, work fears), why there's nothing about relationships? Sustainability? Aren't these some of the biggest fears of adulthood? In my opinion the game's locations are just loosely (and somewhat randomly) stitched together. 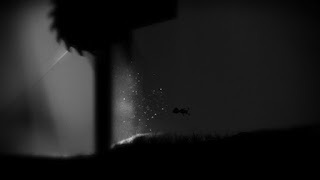 I read a few interviews with Playdead guys, they acknowledged that they cut a lot of content, because it "didn't fit", and they said that the factory part is so long to strenghten the meeting in the final scene. I wouldn't look for anything deeper here. As for the puzzles: I still think of them only as "game obstacles". I can't see ANY meaning. I feel that extending their repeatability to a metaphor of everyday routines is a bit exaggerated. Would you say that Mortal Kombat is a game about death, just because peopie die in there? Even if it was the author's intention, it still fails as a game. There are much better takes on this subject, e.g. the Center-7 section in Gemini Rue (http://store.steampowered.com/app/80310/) or even Planet Life, a game made in 48h (http://sos.gd/ld23/). "And in what reality we can brutally die and be able to repeat the sequence?" In a video game. 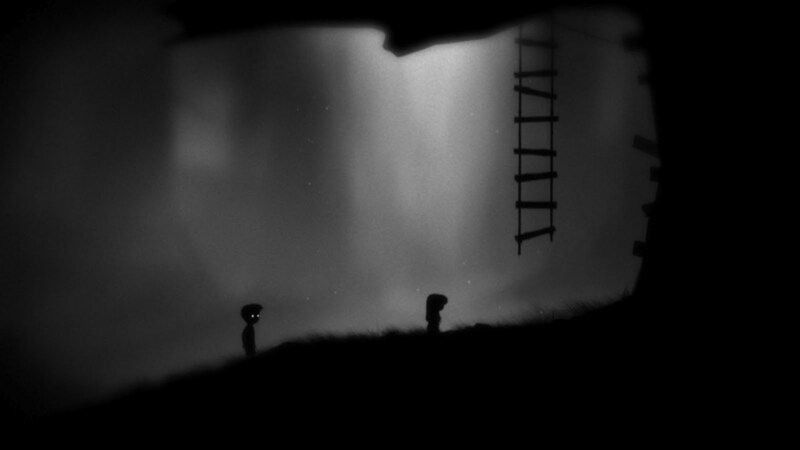 Including Limbo, which is one of its faults. Exactly my thougts about this game : the first hour is brilliant, with all the feelings you describe. And then it's bad Braid. You just think and want to resolve puzzle like any other game, loosing in the way your fascination. What struck during the first hour is how natural the puzzles were. You just thought like you would in real life. Simple stuff very organic that let you slowly slip into the game and identify to your character. You dread the slow and shocking death animation... And then it just become part of the game, you die a lot and retry with no more feelings than you have in Meatboy, n+ or Hotline Miami. Definitely a game worth playing and definitely a disappointment.